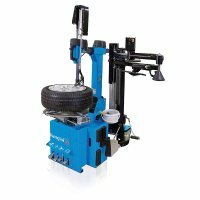 Introducing the RAV G8945.26 MEMORY Leverless Tire Changer....the most affordable, easiest to use leverless tire changer ever. The new RAV Memory leverless tire changer is our latest model in our search for the easiest and most efficient way to mount and demount today's difficult combinations. 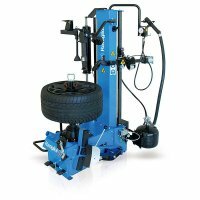 This remarkable machine looks very familiar with mostly foot pedal controls that all tire technicians are familiar with. We added an adjustable height hub mounting system that is very quick and safe for expensive rims and a wheel lift for assistance. For bead breaking we offer the best of both worlds: side shovel type bead breaker as well as dynamic roller bead breaking. The positioning of our proven no-mar mount/demount tool is easily set for rim #1 then returns automatically to the proper position on its own for rims 2,3, and 4. The MEMORY function uses a simple non-electronic technology that promises to be reliable and durable. 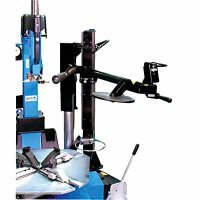 Completing the package is our pneumatic press arm help device for assistance when the need arises. Best of all this machine is very affordably priced and so simple to use.